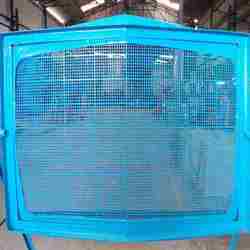 Leading Manufacturer of perforated radiator grills from Pune. Backed by our rich industrial experience in this domain, we are devotedly engaged in offering a wide gamut of Perforated Radiator Grills. The offered radiator grill can be customized as per the requirements of automotive industries. Offered radiator grill is highly demanded for their rigid construction, corrosion resistance, fine fitting, dimensional accuracy, extended service life and ability to withstand extreme temperature. This radiator grill is designed using quality raw material that suits the needs of all types of radiator covers and cabinets. Looking for Automotive Grills ?